Note: The article “Preparing for the Underground Church In America” follows the initial list of resources. Those who love the Lord: You must hear this song. Once one reads the following very insightful letter, he should listen to the following sermon: “Counterfeit Christians Filling The Church Of Antichrist,” on sermonaudio.com (071515)(Click here for Youtube of this sermon. 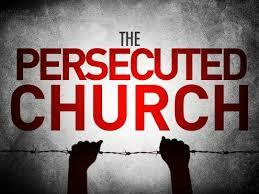 )” Most churches, even fundamental Baptist churches are prepared to accept the anti-christ. In fact, they have already succumbed at least partially by becoming legal entities such as incorporated 501(c)(3) or 508 churches. Additional betrayals follow an unrepented of initial betrayal. Unchecked erosion of the foundation results in destruction of the house. My work for nearly thirty years has been in and out of two communist countries, and we have spent our years planting underground churches as well as training men to pastor underground churches in authoritarian regime-run countries. Nothing I say about these matters comes from “conspiratorial theories” in the wild-eyed sense, but from observation with our own eyeballs, and from studying the verbiage and dogma of the communists. I am not a young man; I am nearly 60. If the Lord does not return soon America will also see a day when Bible-believing churches will be subject to the kind of scrutiny that will force them to operate without government permission or exemptions; hence, “underground”. Our own country is settling in to a state of NON-resistance against tyranny, and toward a tolerance for socialism. The rise of Islam, the rise of Marxist-style and European socialism, the rise of the sodomite agenda, the dismantling of national borders, the disrespect toward our Christian history and heritage in both the educational system and the courts, all speak to a day when government will ask, “Why do these churches operate without our control?” “Why cumber they the ground?” “Why are they tax-exempt?” “Why aren’t their properties on the tax rolls?” “What are those preachers preaching behind those walls?” “Are those sermons violative of public policy?” Etc. It is not a wild-eyed conspiratorial mind set, but to the contrary, it recognizes that ” . 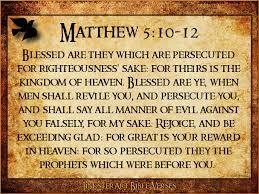 . . in the last days, PERILOUS times shall come . . . ” We are not guaranteed exemption from this. New Testament churches in regions all over the earth must meet underground NOW in OUR generation. Brother Randy Pike, 60-year veteran independent Baptist missionary, served 40 of those years in South Africa (a continent with many thug-run Marxist regimes). Unknown to most Americans was that the communist party of South Africa (to which Nelson Mandela belonged) threatened the freedom of the fundamentalist churches of South Africa in the 1970s and 80s (while Brother Pike was still there). Churches that had operated freely for a hundred years were taking courses on how to survive as underground churches. You can hear Brother Pike’s own instruction on this subject by way of the Internet. Brother Pike is still living today in Greenville, SC, and still deals with these issues to prepare missionaries. Brother Pike is not a wild-eyed conspiratorialist, but rather a highly-regarded independent Baptist veteran, and a very godly man. Brother Paul Pearson leads the Old Paths Baptist Church of Northfield, MN street preaching ministry. Our response to these things is not a bunker mentality, but rather to encourage American believers to use what liberties we have remaining to get out publicly into the markets and civic places to boldly preach Jesus Christ and the Cross. Our response is to do all we can to plant brand new Bible-believing Baptist churches around America. Our response is to do all we can to instill a missionary spirit into our young people. Our response is to encourage American Christians to write often to their elected representatives and make it known that there is still a people of God left in this country. We also need to remember, when we speak of conspiracies, that the Bible is FULL of them, from the Garden in Genesis 3 to the reign of the antichrist in Revelation 13. Absalom conspired against David. Study the conspiracies of Ahab, Jezebel, Atahaliah, Judas, the Jews against the Saviour, Saul (Paul) against the Churches in the early Acts period, the Jews against Paul in the latter Acts period, and so many more in Scripture. Read 2 Thessalonians chapter 2 and consider. See if you can not find there a conspiracy there against the souls of men and the word of God. 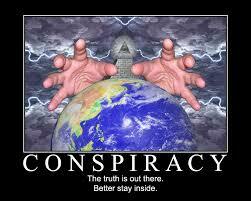 The conspiracy of the god of this world is to blind the minds of them which believe not (2 Cor. 4:4). Then, in church history, the conspiracies of Rome against the Waldenses, Albigenses, Paulicians, Petrobrusians, Lollards and Wycliffe. Consider the conspiracies of the Protestants against the Baptists in New England (1600s & 1700s), and the conspiracies of the Anglicans against the Baptists of the North Carolina Piedmont and the battle of Alamance (early 1700s). The word “Conspiracy” occurs in American law and American documents of juris prudence literally THOUSANDS of times. Law and diplomacy both recognize that conspiracy exists, it is not theory: Conspiracy to kidnap; conspiracy to commit murder; conspiracy to defraud; conspiracy to commit treason. Conspiracy is defined as: “a secret agreement between two or more people to perform an unlawful act.” cabal – “a plot to carry out some harmful or illegal act.” confederacy – “a group of conspirators banded together to achieve some harmful or illegal purpose.” Those things happen all around us every day of the calendar, from the world of the lowliest citizen to the top echelons of government. The Bible is chock full of these; history is full of these; todays news is full of these. There are INDEED conspiracies against the Lord’s churches today in our generation, in the spiritual realm, in the religious realm, and in the political realm. After serving in communist countries, I suppose our ears and eyes are more acute to these things, and it can tend to make many professing Christians uncomfortable to hear us talk about it. To walk circumspectly and to be prepared while we wait to see Christ in the air is very simply prudent. Previous PostI Pledge Allegiance to God and his Kingdom, not to AmericaNext PostRepublican Response to Obergefell – Wrong!!!! Some powerful helps and suggestions for saints when the time of trouble comes upon America. May we prepare and keep our lamps burning.